So...you're saying there's a chance? Bottom line: Sony appears to be somewhat open to enabling cross-play with other console makers but only time will tell if they will actually deliver on that promise. "We're hearing it," Layden said. "We're looking at a lot of the possibilities. You can imagine that the circumstances around that affect a lot more than just one game. I'm confident we'll get to a solution which will be understood and accepted by our gaming community, while at the same time supporting our business." The statement "supporting our business" is an important one. Sony seems to be afraid of losing PS4 sales to people who play the same games on other platform. Perhaps Sony believes that playing with people on other consoles devalues the reason to buy a PS4 (even if the primary reason people buy the PS4 is because of the excellent single player exclusives). Former head of Sony Online Entertainment, John Smedley flatly said in a since deleted tweet, "They didn't like someone buying something on an Xbox and it being used on a PlayStation." This is a moot point considering the PS4 is by far the winner of this console generation. Regardless, Sony has definitely been feeling the pressure from frustrated gamers who can't play Fortnite on other consoles. 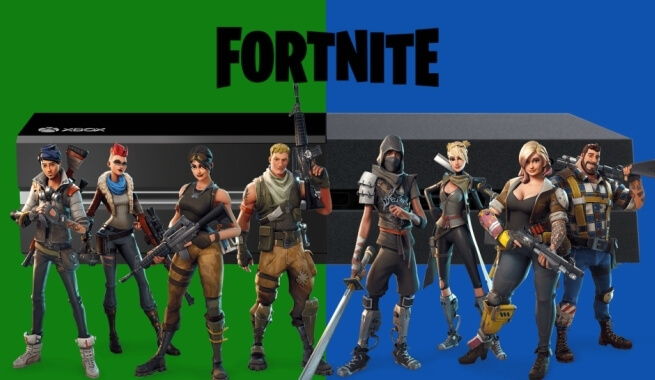 Microsoft and Nintendo have also cheekily poked fun at Sony's obstinate stance by releasing a trailer that promoted Minecraft cross-play between the Xbox One and Switch. Sony has built up a lot of goodwill in the gaming community since the PS4's 2013 launch. However, it seems that goodwill is quickly dissolving and could potentially affect future console sales, great exclusives or not.